Chillingo Ltd, Europe's leading iPhone publisher has joined forces with Mobile Stream development studio to launch Jackpot Casino on the iPhone and iPod Touch, available through the Apple App Store worldwide. Chillingo Ltd, Europe's leading iPhone software publisher has teamed up with Mobile Stream development studio to launch Jackpot Casino on the iPhone and iPod Touch, available through the Apple App Store worldwide. "We have made great strides in publishing quality apps in the Apple's App Store since the App Store was launched over a month ago. We are very excited by this new release of Jackpot Casino. Jackpot Casino will be the first all-in-one iPhone casino game - we see it quickly climbing the iPhone gaming charts." said Chillingo Director, Joe Wee. Jackpot Casino is the world's first all-in-one casino simulation game on the iPhone and iPod Touch. 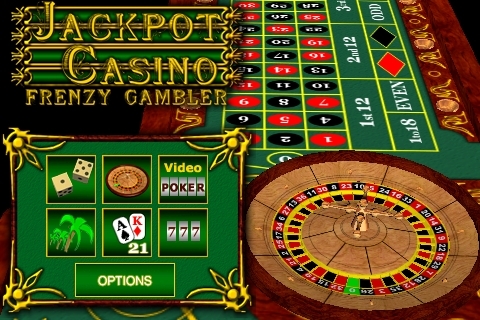 It boasts a wide selection of casino games including Craps, Slots, Caribbean Poker, Video Poker, Roulette and Blackjack. This title sets a new benchmark for future iPhone releases. Set in a visually stunning virtual casino where no real money is spent, offering an array of games that will add endless replay value. Game lovers will love the graphical layout, mesmerising sound and simple touch screen controls that takes the iPhone's technical capabilities to the limit. Jackpot Casino is priced at £3.49 and is available now through Apple's App Store.